Gone are those days when you manually calculated the payroll for your company or business. Today it is the era of automated payroll software that envisions to streamline the entire process of making payments to your workers. Payroll software simply makes the payroll process easier and error-free. Choosing a payroll software is always a challenging and strenuous task to accomplish. No matter you run a small or big business, finance is always considered as one of the key element for flourishing a business. Any minor or major flaws in finance management directly affect business success. Therefore every financial calculation must be done accurately and efficiently. If we take into account, one can see that the majority of the financial considerations in business are kept internal. Especially the payroll. The payroll management is considered as the biggest expense in a company and therefore is demanded with special care and attention from the side of management. One is demanded to keep in mind several factors while into considering a payroll software for their business. However, there exist several standard contemplations that a business should focus on while choosing their payroll software. But whatever be, it must be made sure that the standard considerations are in accordance with your business workflows and industry operation. If the payroll doesn’t match with your business requirement, every effort you endured for effective implementation of the software goes in vain. The best example can be HR and Payroll Software for GCC Countries. If your payroll software doesn’t come contemplating the regulation of GCC countries, the payment calculation of the workers can never be right. The software, therefore, should perform complying with the rules and regulations of the nation where the company resides, so as to keep them safe from any violations. This blog helps you in understanding the key considerations that you need to look for before choosing your payroll software for your business and everything you need to manage your payroll. 1. Considering the number of users and companies. This is one of the key consideration that you need to take care of while considering your payroll software. In the event that your business is doing payroll for multiple organizations/customers, it is advised that you take a note of –for how many organizations your business would be processing the payroll for? It is highly important and imperative that your business guarantees that the product you buy, incorporates the permit that favors the number of organizations. In likewise, if you plan to oversee payroll only for your organization, and is need of installing the payroll software to a server for enabling numerous clients to access them from neighborhood or remote system, in that case, opt for a payroll software package with a license that takes into consideration this. Always take into consideration the number of workers for whom you need to process payroll during the current year. Also take into note that while figuring them, incorporate both regular and seasonal staff without fail. Also, incorporate the details pertaining to starters and leavers. You might be thinking why-because if somebody leaves, their subtleties should remain on your finance or payroll management software for the year as they become mandatory while drafting the year-end reports. Numerous payroll solutions will be evaluated and divided out by the worker groups, so it is essential to have this figure as a primary concern while inquiring about potential providers of the payroll software solutions. While considering your payroll software for your business, always keep in the note of the payroll frequencies and type i.e. how often you are bound to pay your worker. The frequencies can be like every hour, every day, every month, twice a month, etc. The frequencies keep varying according to the business workflow and operations. However one must also take into consideration if each of your workers gets paid in a similar way or do you possess employees with different payment frequencies like monthly or a weekly basis. This consideration can be highly beneficial when it comes to choosing your payroll. Make sure of what frequency mode your payroll software should follow, whether to mix the different types of payroll or follow a standard type say-monthly payment or weekly payment. Steps of Processing Payroll in HR. And it is highly essential that your payroll software is well versed in calculating the employees’ holidays. Managing manually this can be tedious and will be prone to many human errors. It is advised that you choose a payroll software that helps you in setting a set amount of days, the consecutive working week or a percentage of hours worked during the holiday period. Are you in practice of printing out the payslips for workers? In that case, it is indeed advisory that you go for a payroll software solution that enables you to print your pay slips and email them safely. Ensure you check this. Besides complying with standard finance law, it is mandatory that your payroll software comes in supportive of the specific labor laws where the business is set up. There exist several other pieces of enactments that the organization should conform to if they want to run an interrupted and smooth business. 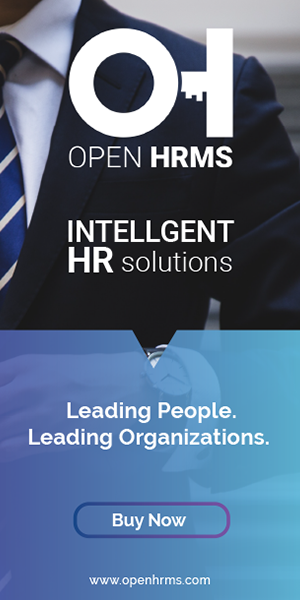 For example, the human resource management software that complies to Saudi’s GOSI legislation works better for GCC countries than other HR software in the market. Depending on the countries, the payroll and labor rules also change. Therefore the business has to wisely make the decision on considering their payroll. It is always best that you go an integration of payroll software with other solutions like accounts package for enhancing the business efficiency. Integrating with other management modules helps in the seamless working of the business functions like easy importation of spreadsheets containing employee attendance, timesheet, etc. Some payroll software works on the basis of the timesheet. Timesheet based payroll can be highly beneficial of these integration practices, as this helps in facilitating timely information without any moment’s delay. So before considering your payroll software make sure of whether the integration or import features are available with the seemed provider. 7. Considering the need of being mobile? If you are enduring to process your payroll from different locations, well, in that case, a cloud payroll management software can be the best solution. It also helps you to access the application from mobile devices, making it comprehending to every need. The cloud packages also come flexible as it provides different payment methods like a monthly basis, yearly basis or quarterly basis. This helps you to spread the cost of your software and use them legibly for other strategic purposes.